Just behind the Forum, off of East Jones Bridge, lies River Station, a private, established neighborhood located on the banks of the Chattahoochee River. Homes in River Station were built in the mid to late 80s and feature Tudor, European, and traditional two-story style homes. 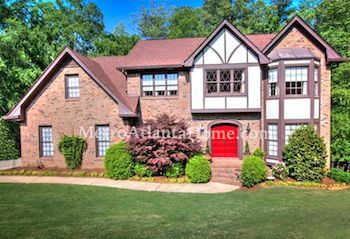 Many homes have been meticulously maintained or completely updated; most homeowners have professionally landscaped front yards. River Station has an active homeowners association with a swimming pool, playground, and tennis courts. Schools for River Station include Simpson Elementary, Pickneyville Middle, and Norcross High. River Station is located across the river from the Chattahoochee Recreation Area – Jones Bridge and is set back from Peachtree Parkway. If you’re searching for seclusion and privacy, River Station is your destination. 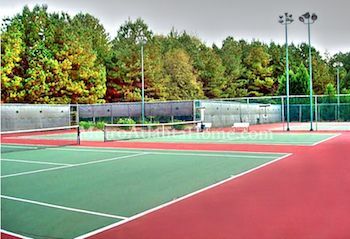 Also convenient to the neighborhood is the Country Club of the South, The Forum at Peachtree Parkway, and several other parks.